Get ready to get cozy! Learn how to cut and sew with terry cloth fabrics and make a scrumptious robe, perfect for lounging. Improve your set-in-sleeves skills as well as mastering belts that don't roll and facings that lay flat. 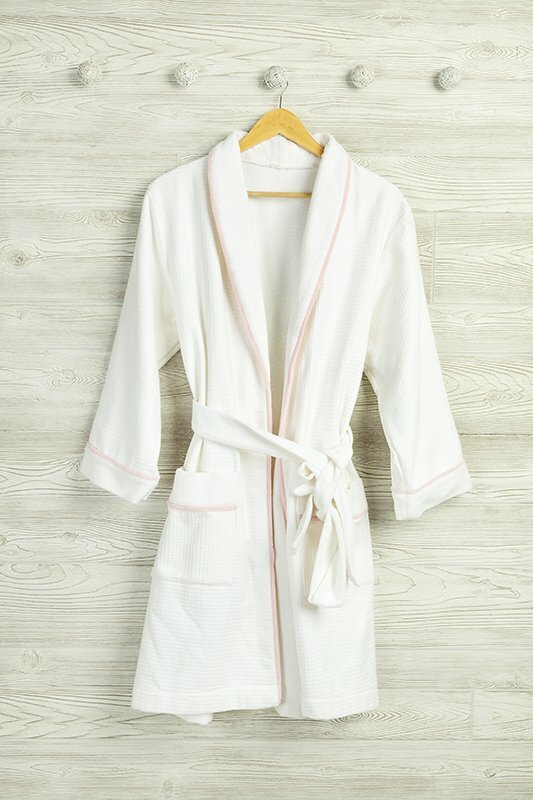 The Robe kit is white Waffle Terry and a choice of Cuddle trim and includes pattern.